New players, like Buzzfeed and Vox seems to get it — so now is the time for the rest to fully appreciate that product innovation in 2015 is not just about journalism and technology side by side — its about the absolute integration of journalism with user experience, software engineering, data and analytics; led by a new generation media managers — product managers in media. 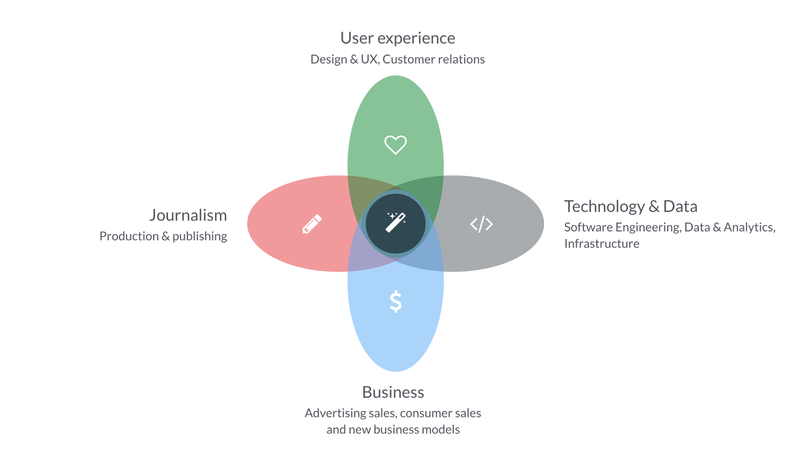 Finding (or building) product managers who feel comfortable in this narrow intersection between journalism, user experience, technology, data and business is just the first step. I know this sounds very tabloid, but hey, I work in a tabloid newspaper. I don’t need to restate all the evidence that traditional media companies are being disrupted, and unless they rethink their products, they will die. Chief Product Officer @kolonialno, dad, tv-show binger. Ex @SchibstedGroup, @vgnett, traveler, croquet champion.